Baby it’s cold outside but there is a feeling of love in the air! 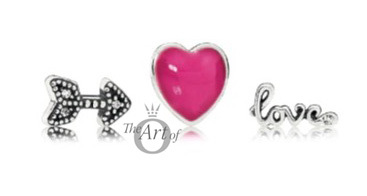 We have an exclusive PANDORA Valentines 2017 Collection preview. The PANDORA Valentines 2017 Collection has some gorgeous items. PANDORA Valentines Collections are normally quite pink but it is nice to see the fun cerise pink used by PANDORA again as well as the pretty soft pink. Of course there are lots of sweet hearts as well as new Poetic Droplet Earrings and Pendants. So get a cup of your favourite hot drink and prepare to plan your PANDORA 2017 Valentine Collection wishlist. 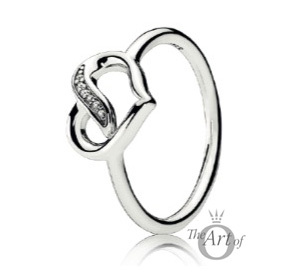 To match the PANDORA Ribbon of Love Charm we have a new Ribbon of Love Ring (191022CZ). This simple design works really well on a ring and would look lovely worn alone or in a ring stack. The other new ring in the PANDORA 2017 Valentine Collection is the Forever Hearts Ring (191023cz). This is really quite sweet and I predict it will be a new best seller. 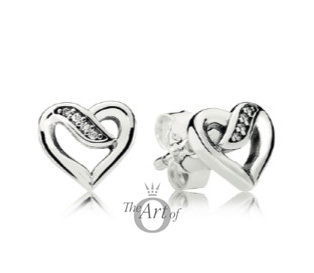 To complete the PANDORA Ribbon of Love set we have new Ribbons of Love Stud Earrings (290736cz). 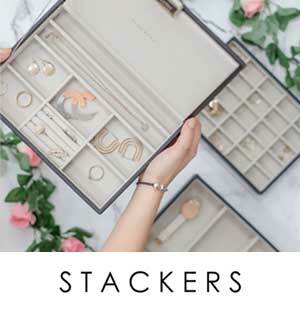 I personally like to wear stud earrings daily and these are really cute! The Pavé Drops Earrings (290737cz) are really on trend currently although are a bit too sparkly for my own taste. 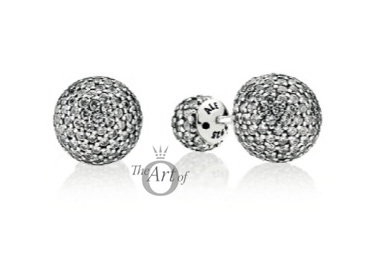 They can be worn with either the large or the small pave ball at the front. The only new bracelet in the PANDORA 2017 Valentine Collection is the Sparkling Bow bangle (590536cz). This matches perfectly with the Delicate Bow ring and I’m sure will prove to be very popular. It has the new hinge style like the Entwined Bangle from the PANDORA 2016 Winter Collection. 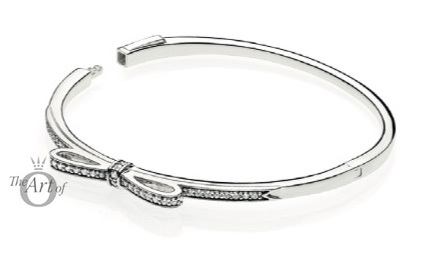 The Sparkling Bow bangle would look fabulous worn stacked or alone. 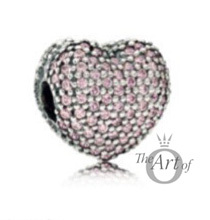 In the PANDORA 2017 Valentine Collection we have a new Pavé Open My Heart Clip in pink cubic zirconia (791427pcz). The clear version of this clip is really popular and I think the pink version will be too. 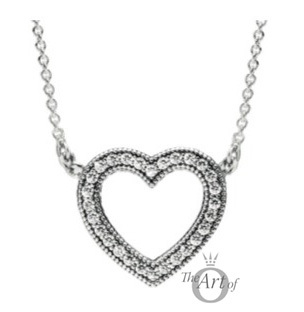 It would look gorgeous worn on the Pavé Heart Bracelet. The Wild Hearts Murano was a huge hit earlier this year and the new Cerise Heart Murano (791664pcz) would look stunning paired with it. I love this cerise pink colour and this murano will be making it onto my wishlist. 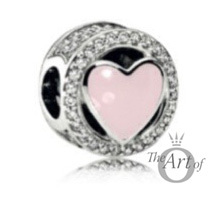 It would also work really well worn with the cerise enamel Heart Beat Charm released earlier this year. 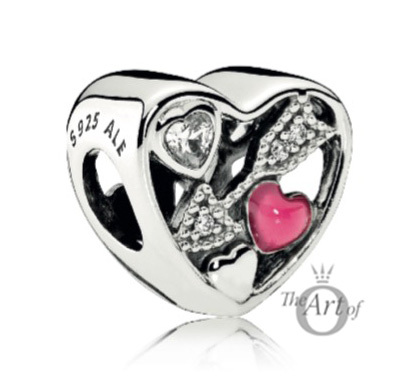 If you prefer the soft pink then I’m sure you will love the new Wonderful Love Charm (792034cz) with a pretty soft pink enamel heart at the centre. This charm would make a really sweet focus point on a bracelet design. Many PANDORA fans loved the Nature Radiance and Intwining Radiance Charms released in the PANDORA 2016 Autumn Collection. The new cerise Encase in Love Charm (792036ncc) is very similar in style but with a heart design. 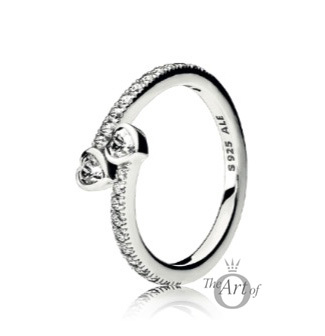 This cute charm will also be making it onto my wishlist! 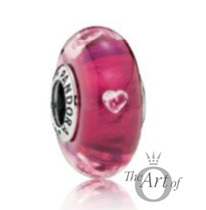 The cerise pink would be perfect with the Wild Hearts Murano and the new Cerise Heart Murano (791664pcz). 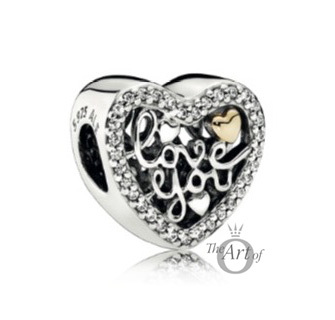 The two tone Love Script Charm (792037cz) would make a perfect gift for a loved one. 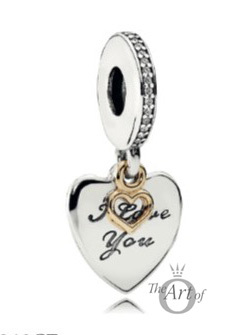 The little gold heart tucked into the corner of the charm is delightful! 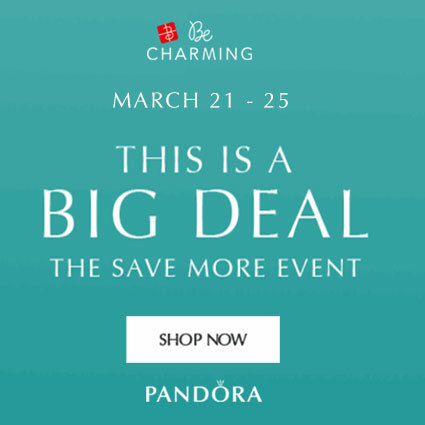 The second two tone charm from the PANDORA 2017 Valentine Collection is the Love You Forever Pendant Charm (792042cz). This would look pretty worn on a necklace or a bracelet. The little golden heart hanging in front of the message is charming. The new Pink Bow & Lace Heart charm (792044enmx) is simply gorgeous would look really beautiful worn with the Blooming Dahlia Clips. There is just one new Petite Memories set for the PANDORA Floating Locket. 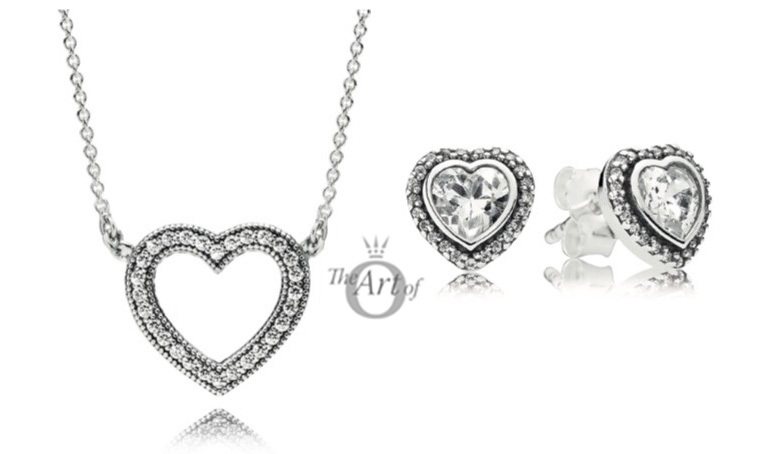 The Love Feelings Petite Memories (792045cz) are very cute nd I’m sure are going to be very popular! 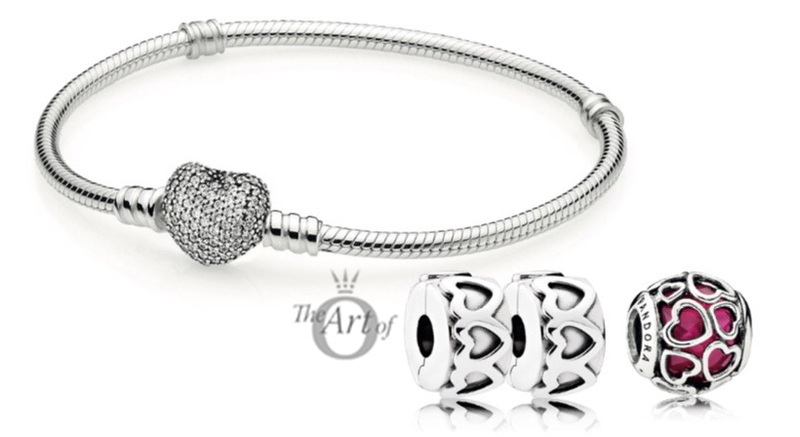 The Love Struck Charm (b800426) will be part of a bracelet gift set and matches the Love Feelings Petite Memories perfectly. 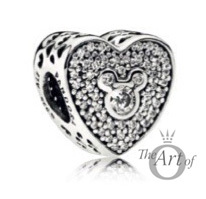 For PANDORA Disney fans we have two new Disney Charms (792049cz & 792050cz). 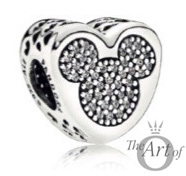 Both have the Mickey face at the centre of the design and little cut out hearts around the side. To compliment the PANDORA Droplet Birthstone Ring collection we now have the Droplet Birthstone Earrings and Pendants. 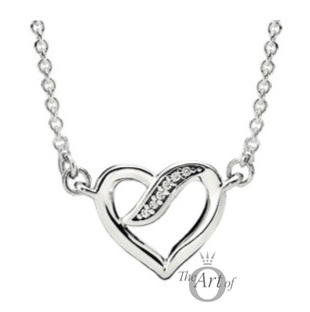 The PANDORA Loving Hearts Necklace is simple yet sweet. It will also be available as a gift set. To complete the Ribbons of Love collection we have a new Ribbons of Love Necklace. The Ribbons of Love has a lovely classic look and this necklace is really pretty. The Open Hearts Bracelet gift set includes the new cerise Encase in Love Charm (792036ncc) and the Rows of Hearts Clips. 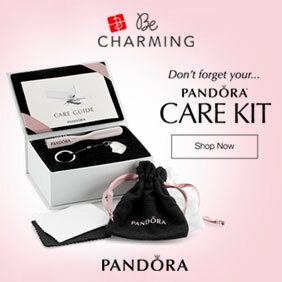 This would be a wonderful gift for a new PANDORA fan. There are some must-haves for me in the PANDORA 2017 Valentine Collection! 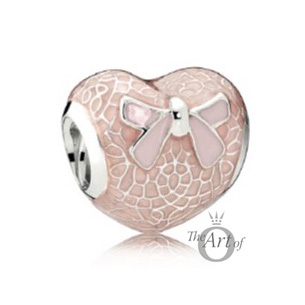 I love the Encase in Love Charm, Cerise Heart Murano, Pink Bow & Lace Heart charm as well as the Ribbons of Love Collection and the new Disney Charms. What will you be adding to your wishlist? Let us know in the comments below. I am loving the sparkling bow bangle! It is rather pretty! Do you have the Delicate Bow ring? They would look lovely together. I really like the new hinge style bangles PANDORA are releasing. It will be exciting to see what will be next! 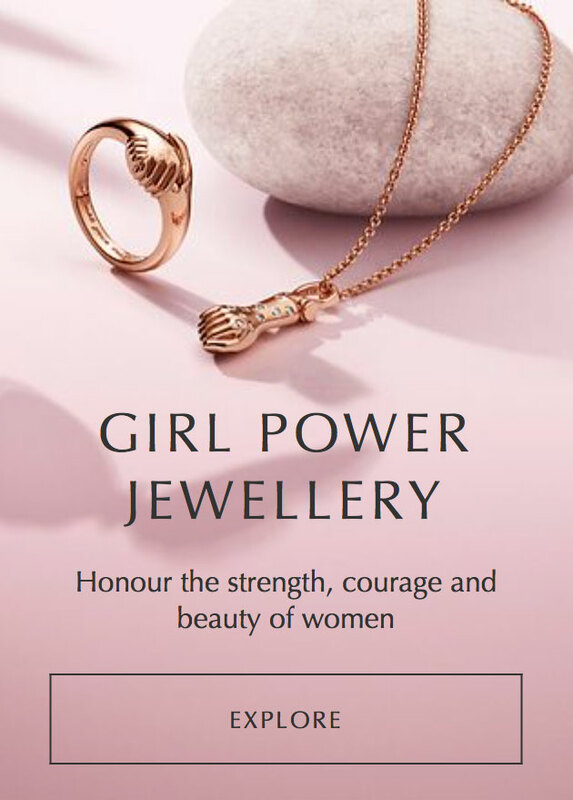 Yes I have the delicate bow ring in silver & am planning to get the rose version (which has only just been released in Australia). Would love the yellow gold as well, but a bit out of my range. I keep thinking how many other beads I could get for the same amount. Love the bow studs as well. Just realised I have the bow pendant too so MUST get the bangle to complete the set (rationalising a bit ha ha). Yes you definitely have to complete the set! I have seen people wearing the silver, PANDORA Rose and gold bow ring stacked together and it’s gorgeous, but the gold is expensive. Maybe it would be a good thing to buy one day if there is a promotion. 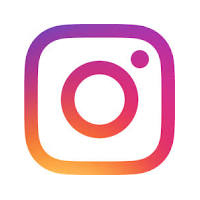 If you are on Facebook there is a good fantastic buy and sell group called Pandora’s Angels and some of the ladies on there have some reasonable prices for gold. 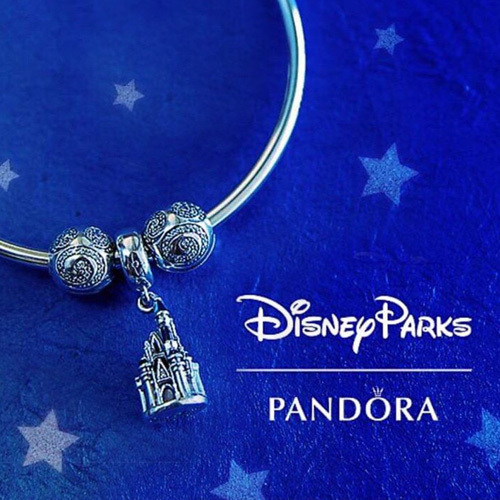 I love the sparkling bow bangle, and the new Disney charm!!! Great choices! I’m sure both will be very popular. I’m looking forward to seeing a live shot of the Pink Bow & Lace Heart charm. Although it is very girly looking in the stock image I think it could look quite elegant with some simple charms and the Blooming Dahlia Clips. 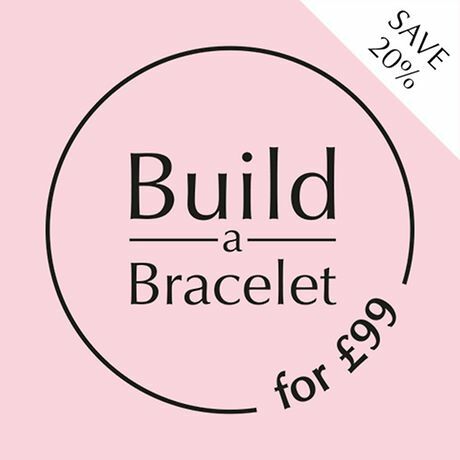 Maybe only in the middle section of the bracelet. 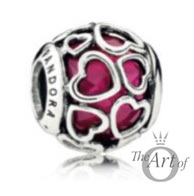 My favourites are the Cerise Heart Murano and Encase in Love Charm. The cerise colour is really pretty isn’t it! I really like the Encase in Love charm too. It is nice to have a bright pink option and not just the very girly soft pink.